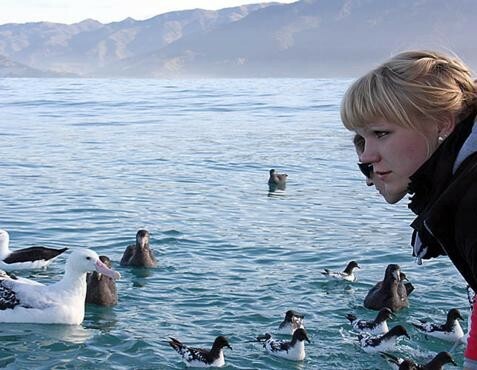 In 2009 Encounter Kaikoura formed a charitable trust and named it the Encounter Foundation. The objective of the Foundation is to support or initiate projects that primarily enhance the natural environment, both locally and further afield. The accumulated funds are donated to deserving projects as determined by the Foundation Trustees. By participating in the Encounter Kaikoura tours, each and every customer is assisting in protecting our very special natural environment. Peter Adams (Chairman of Friends of Flora) and Clare, owners of The Resurgence are frequent visitors up Mt Arthur in the Kahurangi National Park over the winter months.Friends of Flora is a dedicated group of individuals in the Motueka & Nelson areas committed to restoring the bio-diversity of an area in the Kahurangi National Park. After 12 years of preditor control, blue duck, whio, have been successfully re-introduced and the first baby kiwi hatched in December 2012.Former Prime Minister, Helen Clark, is patron of Friends of Flora.Peter is pictured here listening to a kiwi-message which tells him where the bird is and how long he has spent foraging over the previous 14 nights.Autumn 2013, 20 adult kiwi have been relocated from unprotected areas of the Kahurangi to increase the gene pool and create a sustainable population of kiwis in the Flora catchment area. The West Coast Blue Penguin Trust was formed in 2006 by local residents concerned at the decline in blue penguin populations. Its aim is to understand and conserve penguins and seabirds through research, practical projects, education and advocacy. Penguins need protection from traffic, dogs, predators, development and other pressures. Andre has been a DOC volunteer since2006. This involves one day a fortnight volunteering in a variety of DOC tasks. 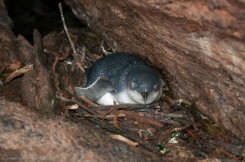 Such as native bird counts including Blue Penguins, planting native plants in public spaces, track maintenance. Historic relic recovery and maintenance. Fiordland Helicopters have partnered with the Fiordland Conservation Trust in sponsoring the “Kids Restore the Kepler” conservation project in the Fiordland National Park. This environmental restoration project is located within the Fiordland National Park on the Kepler Peninsular, across Lake Te Anau from Fiordland Lodge. 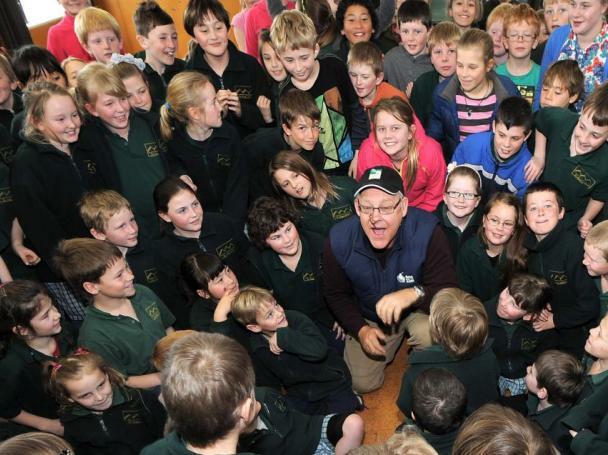 The Fiordland Conservation Trust is leading this nationally significant project in conjunction with the Dept of Conservation (DOC) Kids Restore New Zealand and the Community Trust of Southland, involving all local schools and kindergartens. The Kepler Peninsular, an area of 12,000ha, is bordered by Lake Te Anau, Lake Manapouri, the Jackson Peaks and the Waiau River, providing natural boundaries to substantially reduce the risk of pests re-invading the area. A string of endangered species inhabit this area, including kiwi, whio, kaka, kea, kakariki, robin, rock wren, mohua and weka along with native short and long tailed bats and invertebrates which are also vulnerable to predation. These native birds and invertebrates need more protection to ensure their long-term survival and to rebuild numbers to a healthy population. Kids Restore NZ is a programme under the Air New Zealand Environment Trust which concentrates on helping young people to develop leadership through involvement with environmental issues. All our local students will be involved in this project at varying levels during their schooling in the Te Anau basin. The project will be used as a context for learning over a wide range of subjects as part of school curriculums – an incredible way to learn in our beautiful environment. Kids Restore NZ has already contributed significantly to the set-up of this project, and will assist with the ongoing cost to maintain the project. Will & Rose at Driftwood Eco Tours make contributions to this project from each tour. Money raised goes on replanting, wetlands management, track cutting and bridge building. This wetland area has the only fernbirds between Havelock and Oamaru on the east coast which is a result of this are trapping for mustelids successfully. We at Eco Wanaka Adventures are passionate about the natural environment in our region and our tree planting project on Mou Waho Island allows our clients to reduce their carbon footprint in a fun way, enhance the island as well as their experience of visiting this unique nature reserve. Eco Wanaka Adventures plants a native tree on every Lake Cruise & Island Nature Walk trip we take to Mou Waho Island, which is a predator free nature reserve situated in Lake Wanaka. We source our trees mainly from the Te Kakano Aotearoa Trust, a Wanaka based non-profit Native Plant Nursery. We also have a number of tree planting days throughout the year when we take volunteers to the island in conjunction with The Department of Conservation, Forest & Bird and Te Kakano Aotearoa Trust and have planted in excess of 4,000 trees to date on the island. 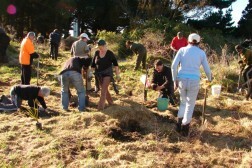 Eco Wanaka Adventures have been Finalists for a Conservation award for this tree planting project. Kiwi Conservation The Kiwi House opened as a display centre in 1976. Ten years later Te Puia began receiving injured kiwi, often found in traps or on roadsides. 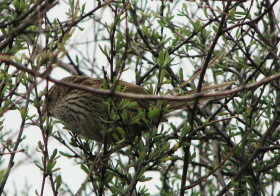 It became something of a haven, with a remarkable recovery rate for its injured birds. 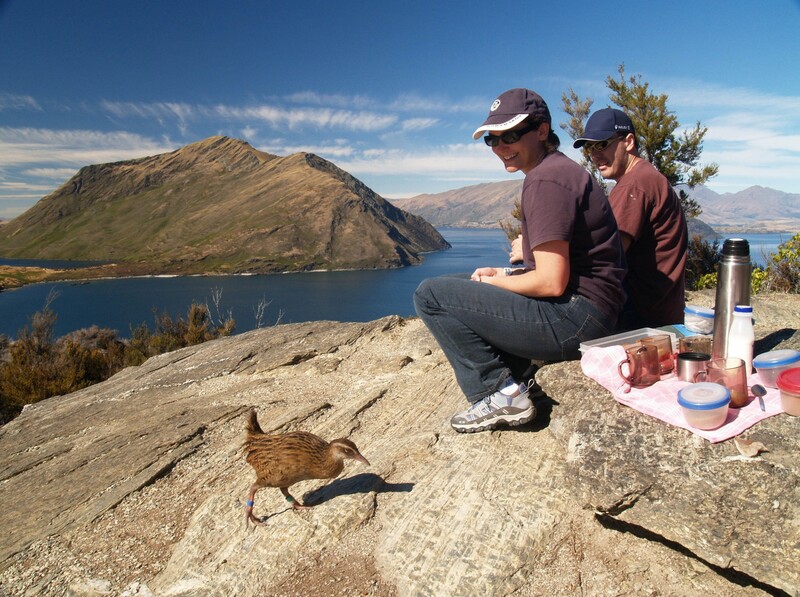 Based on this success, a kiwi breeding programme was introduced in 1999. Preservation of Maori arts and crafts Te Puia is home to the New Zealand National Carving and Weaving Schools. In the carving school the prestigious art of wood carving is taught, passed on to young Māori men under the skilled guidance of master carvers. Our weaving school trains students in the art and skills of traditional weaving. As well as learning how to weave harakeke (flax) and other materials, students learn the stories and designs unique to each iwi (tribe), as well as the Māori protocols associated with weaving. Pounamu (jade) or New Zealand greenstone, is a highly prized treasure of Māori. Our Pounamu school teaches the art of carving this precious stone and bone carving, and produces beautiful artworks. Hutton’s shearwater is an endangered seabird endemic to Kaikoura. The only place in the world that this species breeds is high in the Seaward Kaikoura Ranges at elevations between 1200 to 1800 metres. When the Hutton’s shearwater was rediscovered by Trustee Geoff Harrow in 1964, there were eight colonies but only two survive now – on conservation land in the headwaters of the Kowhai River and on private land in Shearwater Stream.